Originally known as the LONGHOUSE Troop, we were registered in October 1910, as the 27th BSA Troop, in the First Year Of Scouting in America. The Troop met at the Old Southeast Town Hall, under the leadership of our first Scoutmaster, Rev. Murray H. Gardner. 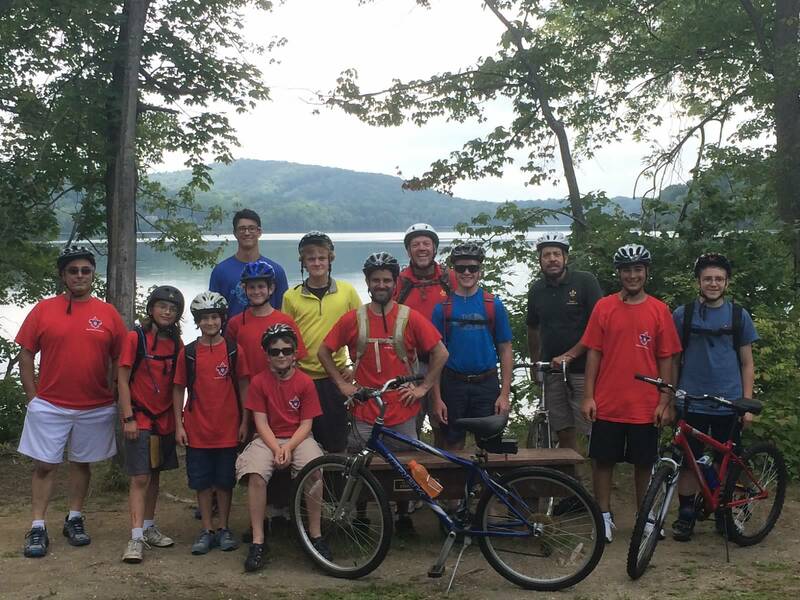 Brewster Troop 1 and the BSA now celebrate our 107th Year!! Troop 1 meets weekly on Tuesday evenings from 7:30pm to 9:00pm in the cafeteria of the Brewster High School on Foggintown Road in Brewster, New York. The third Tuesday of each month is usually set aside for Committee meetings and Patrol Leader Council Meetings. All meetings are posted on the Troop Calendar. 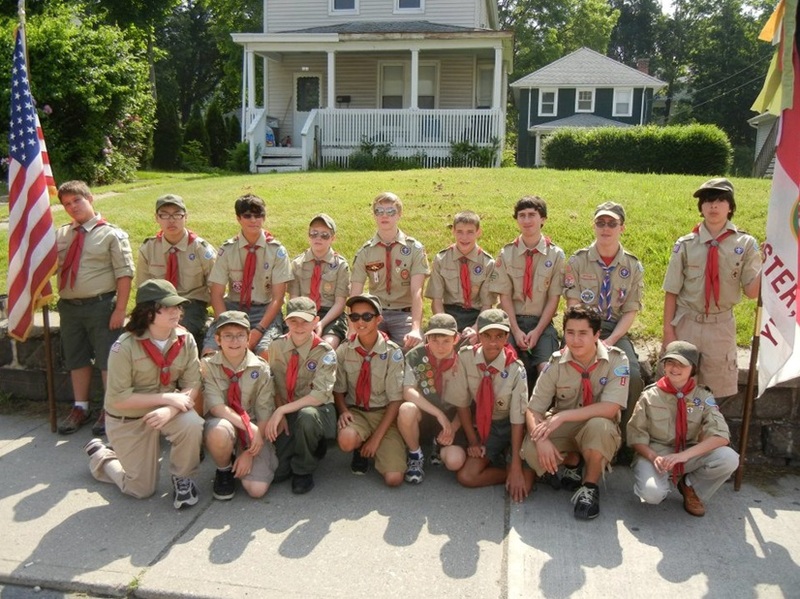 Membership in Brewster Troop 1 is open to any boy age 12 through 17, or to a boy who has completed the fifth grade or earned the Arrow of Light Award as a Senior Webelos Scout and is at least 10 years old, but is not yet 18 years old. The annual membership dues are $95 ($107 for those that would like a year of Boys’ Life magazine included). Dues are collected upon joining the Troop and every September thereafter. Membership can be accomplished by completing a Youth Registration Form and Medical Form and paying the membership fee (as noted above). Completed membership requirements must be turned in to the scoutmaster prior to a scout’s participation in any scouting activities. All advancement is recorded on a computer system called TroopMaster. The only way to stay up to date is for the scout to have his Scout Handbook with him at all meetings and camp outs. EVERY time a scout completes a significant event (like getting to the next rank, or getting a new merit badge), the book or merit badge worksheet & blue card need to be given to Mr. Markert for a few minutes so he can record the information in the Troop record books. Rank patches are to be sewn/adhered to the scout’s left front Class A uniform shirt. See the uniform inspection sheet for further guidance. Merit Badges are to be affixed to a BSA green sash to be worn at future Court of Honors. Younger scouts can use a sash pin to ensure easy sizing. Scouts must keep their blue cards for future reference/evidence of merit badge completion (beyond just the patch itself, and this especially applies to the Eagle level merit badges). One scout mom told me how the plastic baseball card holders held the blue cards nicely. Also, it would help to scan the blue cards and also occasionally scan the handbook rank requirement pages in the back of a scout’s handbook for safekeeping. You must purchase the current Boy Scout Handbook. Make sure that you put your name in the book (preferably on the side of the pages.) Bring the book to all meetings and camp outs. The Scout handbook is used to keep track of advancement. When updates to this handbook are announced, everyone will be directed how to download them. Troop activities are published online in the Troop Calendar on this web site. Troop 1 regularly participates in outdoor and indoor activities at least once a month that promote scout skills and spirit. 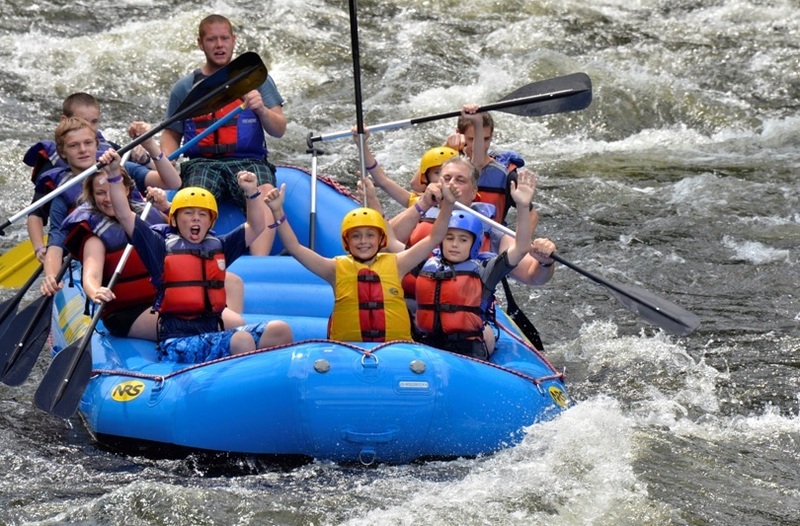 These activities include: camping, sports, games, hiking, field trips, summer camp, community service, parades, orienteering, canoe/water rafting, family holiday gatherings and a variety of other activities. All activities are supervised by trained adult leaders who have completed Youth Protection Training and position-specific training. Many of the available activities are stepping stones to rank advancement or completion of merit badges. Skills are acquired through training at meetings and participation in events and activities that test the Scouts in their knowledge and abilities as they relate to Scouting skills. The Troop will collect a fee for most activities such as camp outs. If a scout signs up for an activity and he does not show up, he still owes the money for the activity. If he calls prior to the Troop spending the money (such as the purchase of food for a camp out), we will refund the money. Normal fees for outings will be $15 for a one day event and $25 for a two day event, unless otherwise noted. Occassionally, if the boys are on an outing where their Class A uniform could be damaged in any way, the boys will be asked to wear their Class B Red Troop uniform T-Shirt. Click here to submit an order for the Class B Uniform T-Shirt. Scouts will have need of personal gear and supplies that will depend upon the activities in which they participate and the level to which they may pursue particular activities. The parent’s role in the Boy Scouting program is quite different from that in the Cub Scouting program. Scouts are expected to be responsible for their accomplishments and commitments, and they are encouraged to grow with that responsibility. The parent’s role includes providing encouragement and support, but it is expected that the Scouts will do their own work and be responsible for both their successes and their failures. The Scout is the one that should be making inquiries regarding advancement, merit badges, and Troop activities. Most of the information they will need is provided by their Patrol Leader, the Senior Patrol Leader, or during announcements at meetings. A pen or pencil with paper or notepad is an invaluable tool for the Scout. The Troop Calendar is posted on the Troop website and is updated regularly. Activity information is readily available from the Committee Activity Coordinator at most troop meetings (see the Activity Table). Parents are welcome to occasionally attend meetings and are encouraged to keep current on Troop activities and plans. Parents and visitors should understand that the purpose of the Troop meeting is primarily for the boys’ benefit, so seating is outside of the high school cafeteria for parents and any family members. All siblings are expected to remain seated quietly reading/coloring/playing games or video games so as not to distract the boys inside and not to create a commotion to any other group or custodial employee in the high school. Q. Can parents camp with their scouts? A. Parents must be registered leaders who have completed Youth Protection Training and have passed a background check in order to camp with the Scouts. Scouts should sleep with Scouts. Q. What are the costs for the Troop events? A. Each event may run from about $15-$40 depending on the nature of the event. The fee normally covers the cost of food, but if there are additional admission cost, then cost per scout will be higher. Q. What is summer camp all about? A. Many troops including Brewster Troop 1 camp for a week at a council staffed camp ground in the Adirondacks at Camp Read (usually the first week of July). Merit Badges/Rank earned while having fun! Q. How can my boy advance? Q. Should we be planning advancement with each Scout, allowing them to move through the ranks faster? A. Not really. We want Scouts to be responsible for their own advancement. New Scouts will receive support from the Troop Guide during New Scout Orientation. Q. Can siblings attend campouts? A. No, current BSA policy does not allow siblings to camp overnight at BSA owned or operated facilities unless it is a specially designated activity. Only Troop 1 Leaders and Scouts are permitted on Troop events unless specifically designated as a family activity.